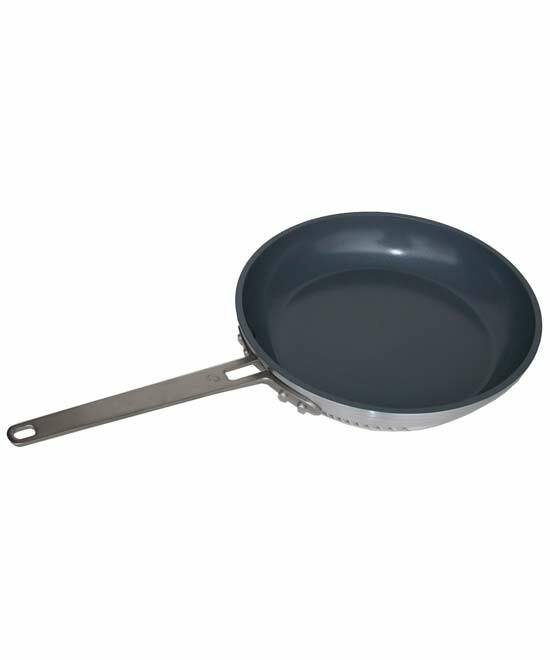 These aluminum Ceramic Coated non-stick fry pans feature unit body structure that is light weight with faster heat transfer features. Superior commercial-grade ceramic coating is non-toxic, and very durable. 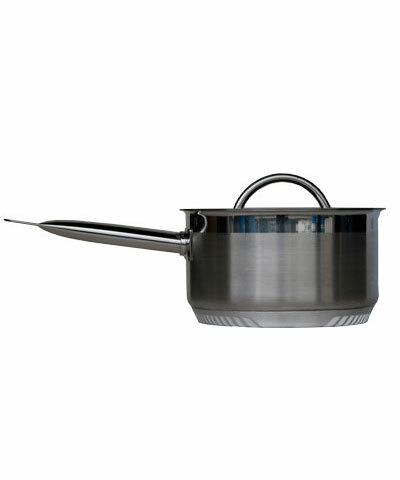 New Design features classic restaurant style straight handle. The energy efficiency improvement from Eneron's innovative technology has been independently tested by PG&E Foodservice Technology Center. 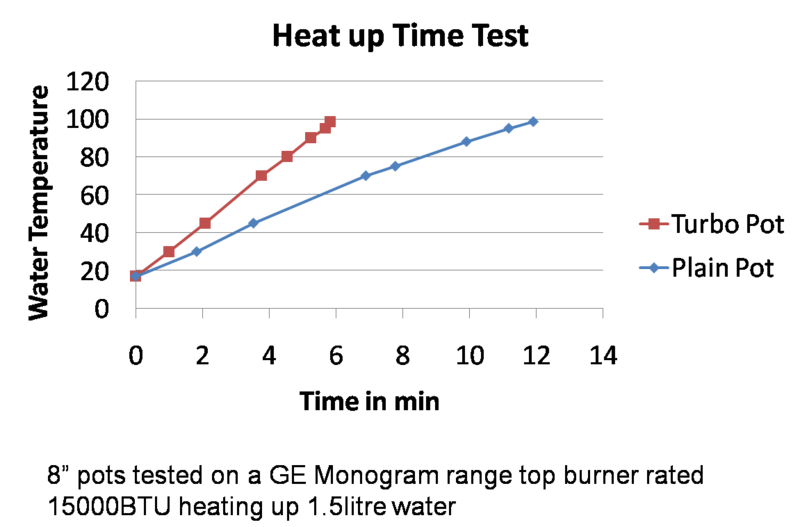 The result of comparing the performance between a heat sinked Turbo Pot and a standard pot is shown in the graph on the right. 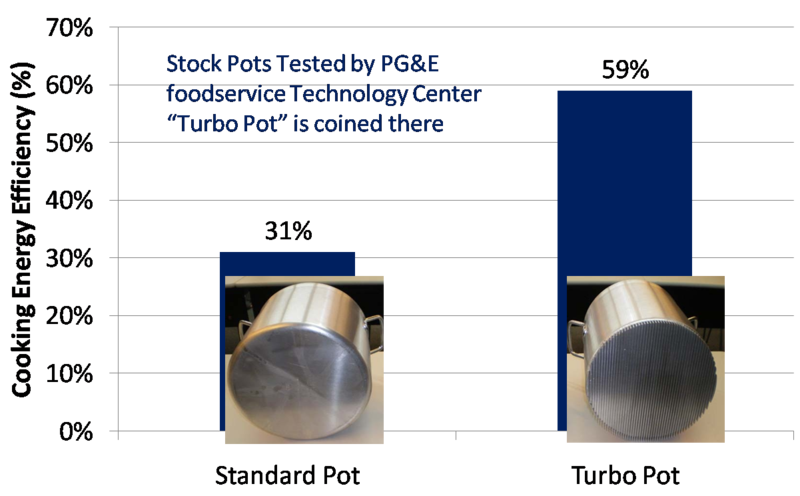 As you can see in this chart, the Turbo Pot is almost twice as efficient as a standard pot. In another test, the Turbo Pot cuts the time needed to boil 1.5 litres of water down from 12 minutes to 6 minutes.